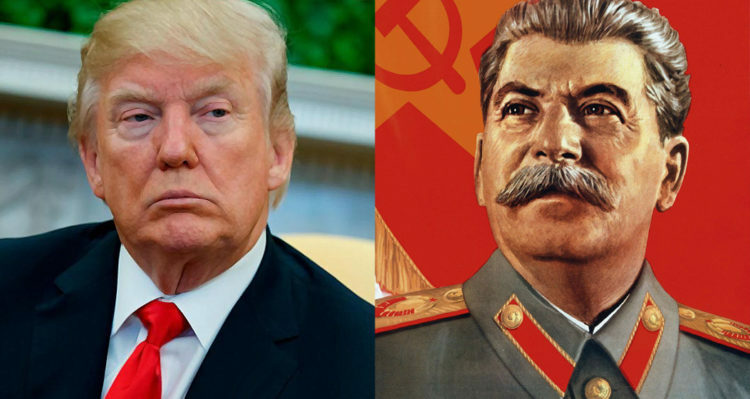 Karl Rove compares Trump to Stalin and warns that he should lower his expectations regarding the midterm elections. Continuing, Rove explained that rarely does the party that holds the White House pick up congressional seats during the midterms, that this has only happened twice since 1934. He went on to explain that Republicans have a chance to pick up seats in the Senate because ten of the twenty-six Democrats up for re-election are in states that were won by Trump during the 2016 general election and only one of the nine Republicans is from a state won by Democratic opponent Hillary Clinton. However, he added that the overall news would be grim for the GOP come November. Rove went on to predict that Republicans would likely lose between twenty to thirty seats in the House, adding that if they lose twenty-three seats they lose control of the House of Representatives. The conversation focused on Tuesday’s special election in Ohio’s 12th Congressional District between Republican state Sen. Troy Balderson and upstart Democratic challenger Danny O’Connor before turning to Trump’s anti-media rhetoric. That portion of the segment (which begins at the 6 minute, 30 second mark) began with Fox News showing a recent tweet by Trump, bashing the media. “The Fake News hates me saying that they are the Enemy of the People only because they know it’s TRUE. I am providing a great service by explaining this to the American People. They purposely cause great division & distrust. They can also cause War! They are very dangerous & sick!” he tweeted.